Everyone who was alive and aware of the horrific events of September 11, 2001, know exactly where they were when they heard the news. 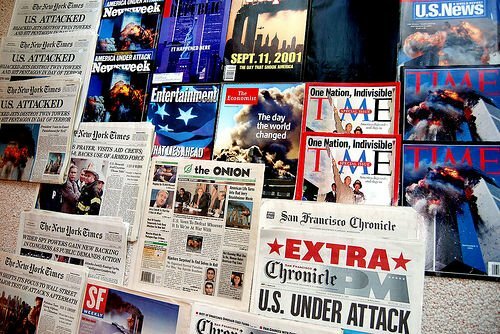 Most of us remember the minutiae, as well: the faces of the television anchors breaking the news, what we were wearing, how we got home that day or night (even if we were nowhere near the attack sites). Many of us also know friends or friends of friends who perished and/or lost someone that day. I was in Florence, Italy, on September 11, 2001. Where were you?